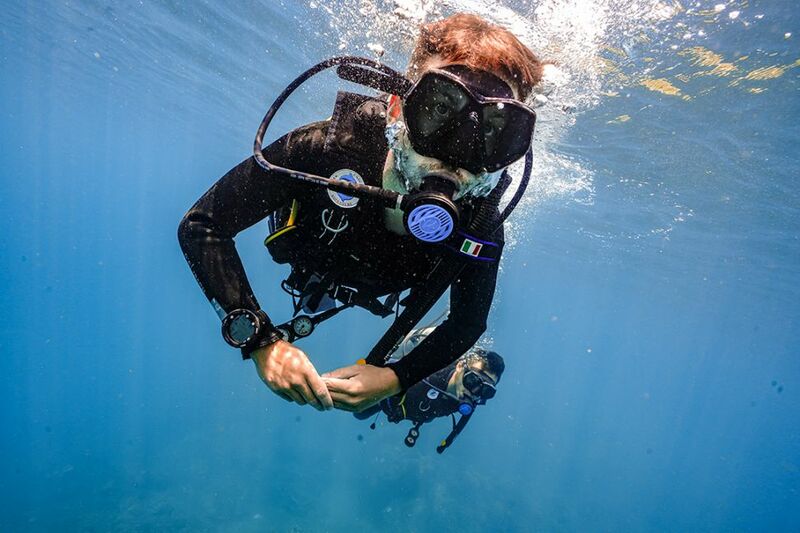 PADI Divemaster is the first level of the PADI Professional ratings. This qualification allows you to supervise recreational diving activities and to work as an instructional assistant on PADI courses. As a PADI Divemaster you will hold the minimum rating for employment in the Diving Industry. It is also the minimum pre requisite for enrollment in a PADI Instructor Course (IDC). The usual option is to sign up for the standard PADI Divemaster course which can be completed in 4-6 weeks. It’s a truly life changing experience, but we think we can do better. The best option is to sign up for our FREE 4 month PADI Divemaster Internship. Every year in January/February we start our search for divers to join our team in Hoi An for Internships. This is a comprehensive traineeship, which takes you well beyond the standard PADI Divemaster certification. Commencing in March, April or May, during this amazing time you will be one of us, helping us on the boat and in the water. You will be learning how to be a leader in all circumstances and with divers of different experience and skill. Our divemaster interns will lead certified divers on up to 100 dives in this time, gaining a wealth of skills and knowledge whilst mastering navigation and problem solving skills while enjoying the colorful coral reefs that surround Cham Island. 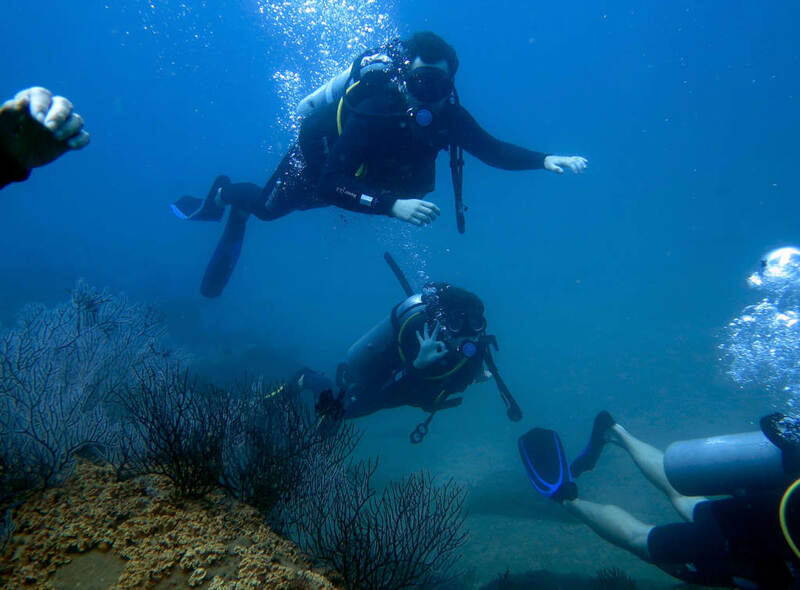 Our DM Interns have the option to complete the PADI DSD Leader program, allowing you to take PADI Discover SCUBA Divers. 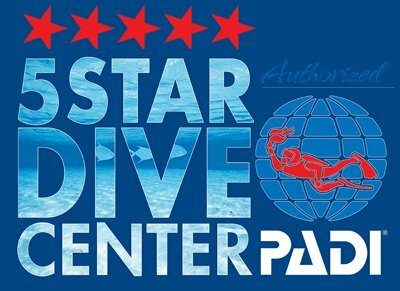 This is a great opportunity to gain experience as a divemaster prior to upgrading to PADI Open Water SCUBA Instructor. It’s also an awesome opportunity to immerse yourself in the PADI PRO lifestyle, whatever your long term goals are in SCUBA diving. Certified to PADI Rescue Diver or equivalent. Your own diving equipment. Students are welcome to borrow equipment whilst training but are required to be fully equipped before completion. We provide good rates for DM’s. At Cham Island Diving Center we are always on the lookout for people with good skills and plenty of energy. For one of the best divemaster programs in South East Asia, contact JG at info@chamislanddiving.com for further details.